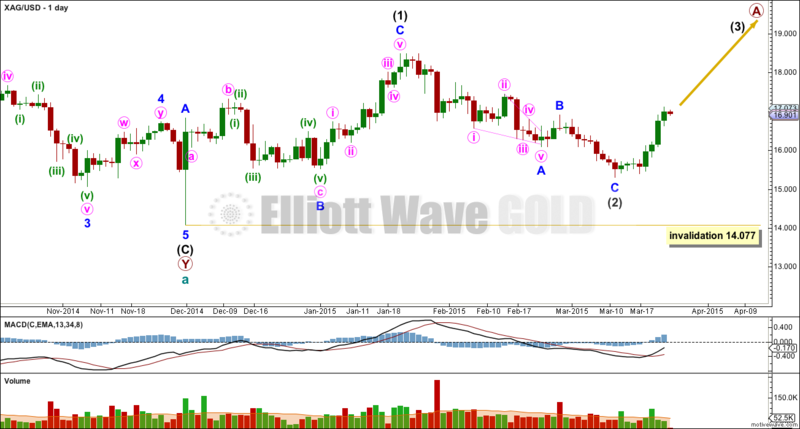 I have a new Elliott wave count for Silver which is in line with Gold. 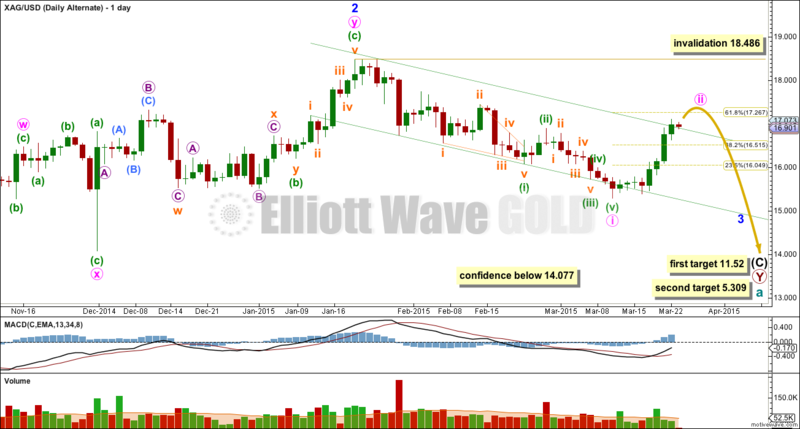 I will let the Gold analysis lead Silver and GDX, not the other way around, so the new wave count is the main wave count. 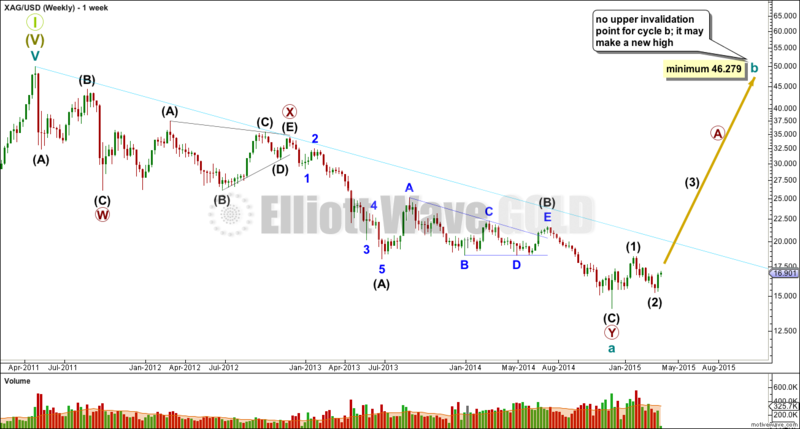 If cycle wave a is over and Silver, Gold and GDX have all recently seen cycle degree trend changes, then importantly for Silver cycle wave a subdivides as a double zigzag. A double zigzag is a multiple, and the maximum number of corrective structures in a multiple is three. Any wave count which labels W, Y or Z as W-X-Y within them is invalid. W, Y and Z waves may only be simple corrective structures labelled A-B-C (or A-B-C-D-E in the case of a triangle). Super Cycle II may not be a multiple and must be a flat correction. Within a flat correction the A wave must be a three, and a double zigzag is classified as a three. Within a flat correction cycle wave b must retrace a minimum 90% the length of cycle wave a at 46.279. This would suggest a higher target for Gold should be calculated. Within a flat correction cycle wave b may make a new all time high above the start of cycle wave a, as in an expanded flat. The most likely structure for cycle wave b to take price that high is a zigzag. 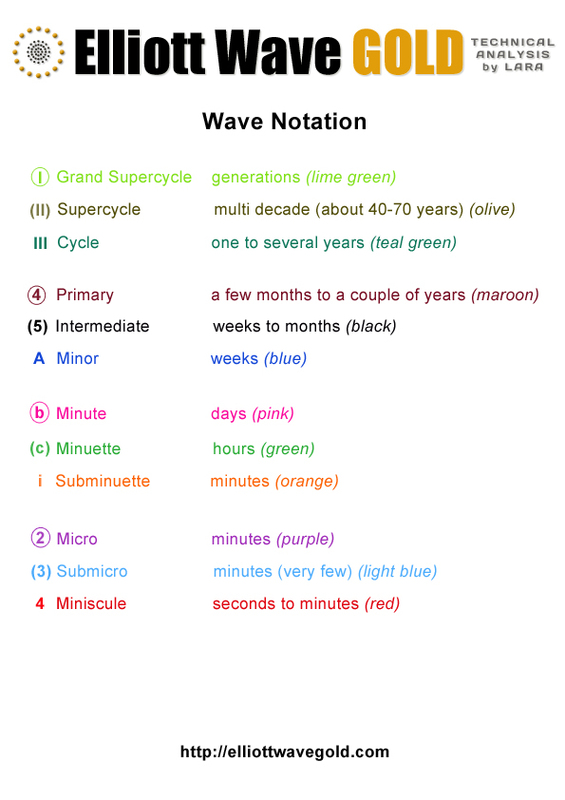 If cycle wave b is unfolding as a zigzag then within it primary wave A should be a five wave structure, either an impulse or a leading diagonal. It is very difficult to see the first upwards movement as a five, but it can be seen as a three. Within a leading diagonal sub waves 1, 3 and 5 are most commonly zigzags. Primary wave A may be unfolding as a leading diagonal. Intermediate wave (2) is 0.72 of intermediate wave (1), nicely within the common depth for a second or fourth wave of a diagonal of between 0.66 to 0.81. Intermediate wave (3) must move above the end of intermediate wave (1) above 18.486. 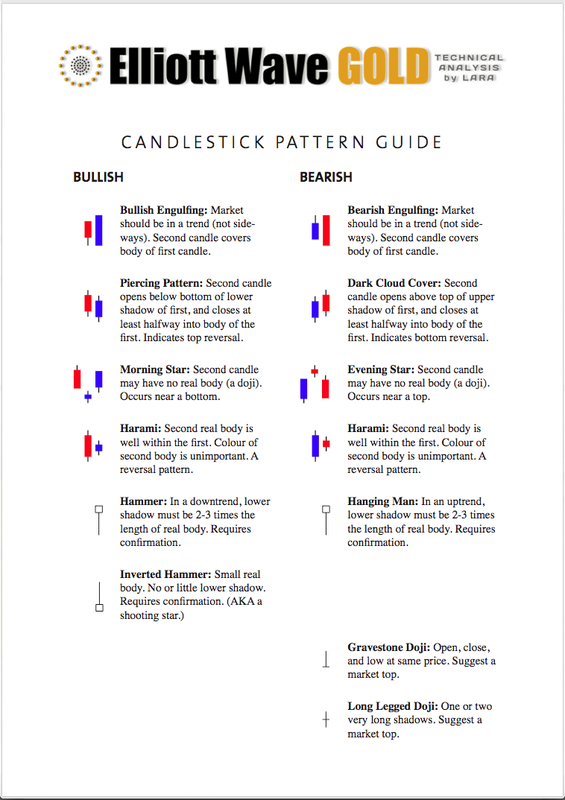 It is most likely to unfold as a zigzag. 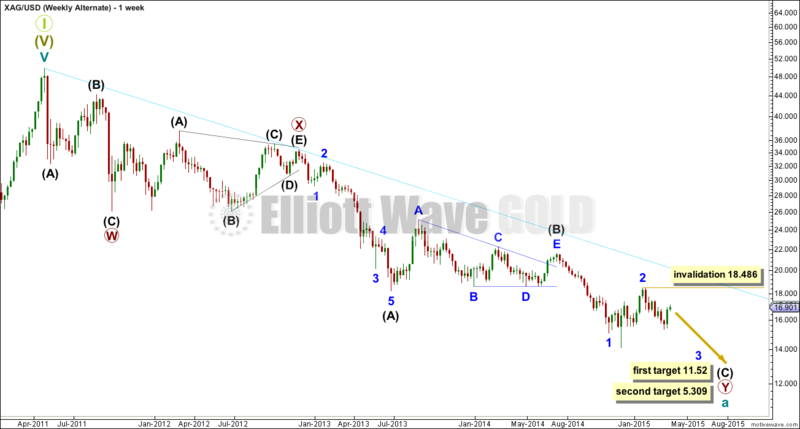 If intermediate wave (2) continues lower it may not move beyond the start of intermediate wave (1) below 14.077. This was the prior only wave count for Silver. At the weekly chart level minor wave 2 does look to be too large. Minute wave ii may not move beyond the start of minute wave i above 18.486. Targets remain the same. At 11.52 intermediate wave (C) would reach 0.618 the length of intermediate wave (A). At 5.309 intermediate wave (C) would reach equality in length with intermediate wave (A).